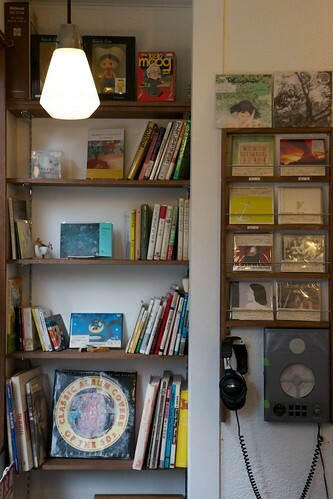 Mr. Takahashi opened this lovely little records shop, warm and well decorated, in 2008, while pursuing a career as a musician (he plays bass with the American artist Doug Scharin in the band “Him”). At Otonomad, you will be able to dig in about 3000 records (2000 vinyls and about 1000 CDs), all second hand, almost all the production being between 1960 and 1990 (no club music). The website is user friendly, but only in Japanese. For those who want to order, it is possible (but need to be done in Japanese). You will find as well some interestingly designed T-shirts and a few books.